Hans Weiß was born in 1927 and died in 2003. He ended the secondary school education with examination in 1946. Then he went to university, he learned piano, composition and choir conductoring. Then he studied clarinet, saxophon and organ. He worked after the studies as instrumental musician. After a few years he studied voice.and choral music. After this time he was conductor from a few choirs and took part in many competitions and concerts, for instance with Rudolf Schock, Anneliese Rothenberger, René Kollo and Hermann Prey. He maked concert journeys to Austria, Switzerland, Italy, Hungary and Canada. In competitions he worked as a member of jury. 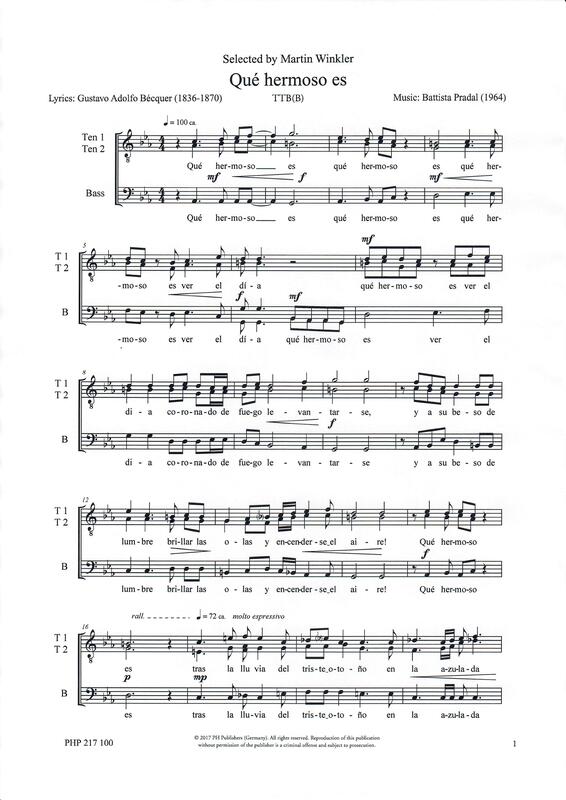 His compositions are: arrangements of international folk songs and spirituals, cantates and psalms for mixed choir and female choir; compositions and arrangements for children’s choir and male choir. He lived in Watzenborn-Steinberg, therefore his name.